The CCC Lion Dance Troupe performed at the RANZCOG conference which is the Annual Scientific meeting of the College of Obstrtricians and Gynaecologists. The theme of the conference is “East meets West”. The attendees of the conference are Obstrticians and Gynaecologists from Australia, New Zealand, and from around the world. The event was held at Frasers Restaurant located in Kings Park. The performance began at the the court yard area of the restaurant, in which the lions welcomed the guests to the event. The lions then lead the guests into the restaurant where they were seated. The performance was very much enjoyed by all of the guests whom attended. The CCC Lion Dance Troupe would like to thank the organisers of the RANZCOG conference for allowing us the opportunity in performing at this wonderful event. 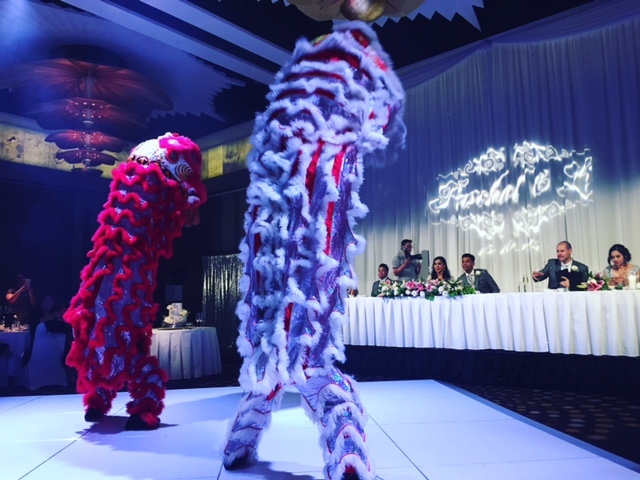 Continuing the wedding season performances, the CCC Lion Dance performed for Trans at Crown Casino. After the bridal party made their entrance into the reception and were seated, the lions entered the ballroom with the music band and made their way towards the bridal party to commence the performance. The lions blessed the newlyweds, then followed by interacting and playing with the audience where they fed the lions red packets. The lions then presented the newlyweds with good luck scrolls before finishing the performance. The team at the CCC Lion Dance Troupe would like to wish the newlyweds all the best of luck on their new journey of life together.